Have you thought about what to do in your retirement? Are you sad about giving up the nursing skills you developed over your years of practice? Have you ever thought of using some of your skills and knowledge to work as a volunteer nurse? There is a need for volunteer nurses in both the United States and abroad. Many nurses are volunteering their time to help those in need after going through a traditional retirement from nursing. Many of the activities nurses performed in their regular fulltime careers translate well to a volunteer setting. Here are some common questions about volunteering in retirement. Working as a volunteer is rewarding all on its own. The feeling of serving other people is something that makes most of us have a sense of self-worth and one of the reasons we entered the nursing profession. In addition, you are providing care in the most urgent need areas, gaining new skills, and making lifelong friendships. When I go to my volunteer job, everyone is happy to be there. If I miss a week, everyone asks where I was and say they missed me. When was the last time you had that type of work environment? What are the activities of a volunteer nurse? Too many to count! Some volunteer nurses perform basic treatments, provide wound care, help to register patients in clinics, perform triage, work as volunteer patient navigators, maintain medical records, perform patient education activities, work as faith-based nurses in their congregations, or perform data collection. Volunteer settings are ideal for applying many of the skills learned throughout your nursing career, such as leadership, mentoring, process evaluation, and quality improvement. These activities often end up on the low priority list in a volunteer setting, so most organizations would welcome expert, and free, assistance in these areas. Here are some examples of volunteer nurse activities. Another nurse, with a long career in clinical informatics, manages the medical records room of an all-volunteer clinic. A group of nurses helps assess blood pressures at a migrant worker camp, working alongside the mobile health unit’s nurse practitioner. The opportunities are only limited by your imagination and interest. Look at the local United Way, hospital community directory, or local non-profit groups for a start. Hospice groups need volunteers to help families navigate a complex health care system. Free clinics need volunteers to triage patients, enroll patients in medication assistance programs, teach use of equipment such as blood sugar monitors, and lead small groups such as cooking classes and patient education courses. Hospitals need volunteers to help patients with completing forms, filling in menus, asking questions in waiting rooms, and of course rocking babies! Many organizations such as the American Red Cross and Community Medical Reserve Corps use volunteer nurses because many retired nurses can be ready for service on short notice. Check out the volunteer service section on the American Nurses Association website. International organizations are looking for volunteer nurses too. The activities range from triage at clinics and immunization outreach, to assisting in surgery and recovery rooms. Whatever your skill set, there is likely an international volunteer organization that could use your skills. Check out programs such as Project Hope and HELPS International. What if my license isn’t up to date? This can limit the types of activities you can perform in a volunteer setting. Check out your state nurse practice act for guidance. Some states have volunteer license or offer a retirement type license. You can find a wealth of information about nurse licensing at the National Council of StateBoards of Nursing. Get out there and do some good! Don’t let those nursing skills go to waste. Pick an organization and give the gift of time. The rewards will be all yours. 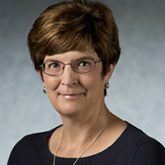 Lynne M. Hutchison is an assistant professor of nursing at the University of South Carolina-Beaufort in Bluffton, South Carolina. This is a tremendous boost in confidence for nurses entering retirement after having committed their lives to caring for others. We are so used to a consistent pattern of 8+ hour shifts, acting as advocates, and stretching our bodies to the limit, we often are at a loss when retirement begins! Thank you for providing these ideas for continued growth! These are good suggestions. Others are helping at schools to review immunization records especially at beginning of school year. Volunteer with your local Medical Reserve Corp (used for assessing county needs, disaster preparation and drills, staffing shelters in floods and for emergency station at marathons and other events.